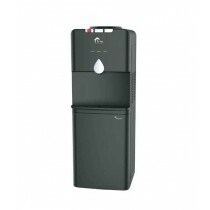 Initially, water dispenser was supposed as office equipment only but the convenience of use makes it more loving for home use as well and now it is no more an office icon only. Actually, with water cooler, everyone is encouraged towards drinking more water especially in hot days when it goes very refreshing to take cool water to beat the heat. Now if we compare water dispenser with water cooler, features of a dispenser is much superior to an ancient type of water coolers. Water dispenser is actually delivering three must have features, making this appliance a compulsory need of every home like it delivers cool water, hot water and all along you have a fright at the bottom side. Means if you want to take a cup of green tea instantly to get fresh, then here it is. You don’t have to wait long. On another side, a dispenser has an option of hot water for such need to get it satisfied as it appears. Prior to shop, you must have to decide upon type which one you are going to buy and what your need of time is. Primarily it has two types; floor units and table top units. Normally the standard size inherited to dispensers is of 2, 3 and 5 gallon sizes, but the thing is you need to confirm what your need is. While dispensers mostly have top mounting structure. iShopping.pk has numerous brands of water dispensers. We are dealing in all original brands and we have our separate identity for this. Currently, we have in our shelves Orient, Homage, PEL, Jackpot, Enviro, Gaba National, Gree, TCL, Toshiba and super General. We are inviting you to visit our categorized stocks and check water dispenser prices in Pakistan to finalize your choice and order now. We will get back to you very soon for further service delivery.